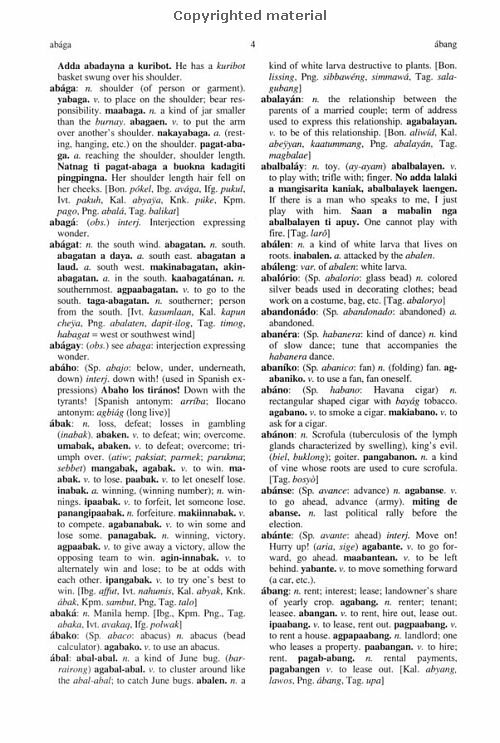 * The Tagalog-English/English-Tagalog Standard Dictionary (First - Third editions are sold out. The 4th expanded edition is available now in paper and hardback). This dictionary is root-based. 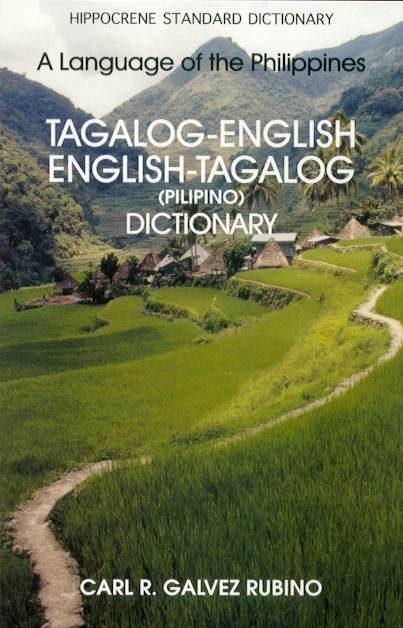 It is the most comprehensive two-way Tagalog dictionary ever published (461 pp. ), and includes frequent derivations under the root entries. It includes a Grammar sketch with an affix cross-reference list for easy lexical searches, and a Vocabulary Appendix. It should be available at your local bookstore for $18.95 + tax (softcopy) or $24.95 (hardback).. If you can't find a copy there, e-mail the author, and he'll see if he can locate one for you. 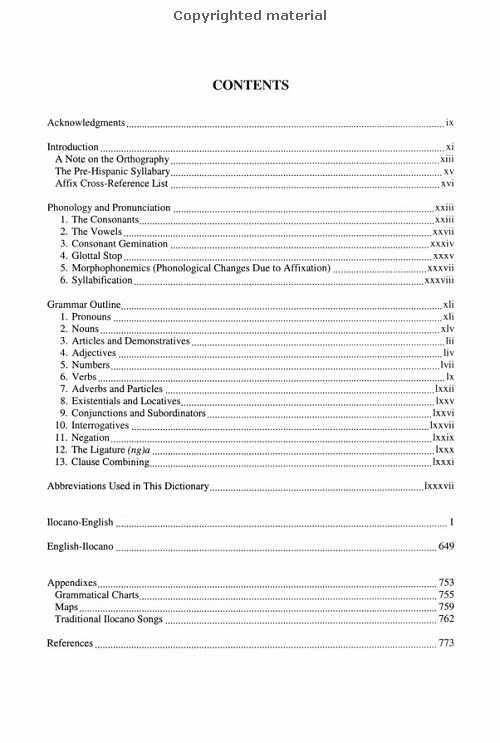 * The Ilocano Dictionary and Phrasebook (269pp) includes an Introductory Grammar, Outline of Morphology Section, Phrasebook, and English to Ilocano Dictionary, as well as a Map Appendix. It was written as a self-study pedagogical guide or as a classroom text. If you can't find a copy at your local bookstore, e-mail the author.